Lavender Cotton is a shrubby, compact and rounded plant, with woolly, white shoots that are densely covered with slender, toothed, light gray leaves, up to 1.5 inches long. 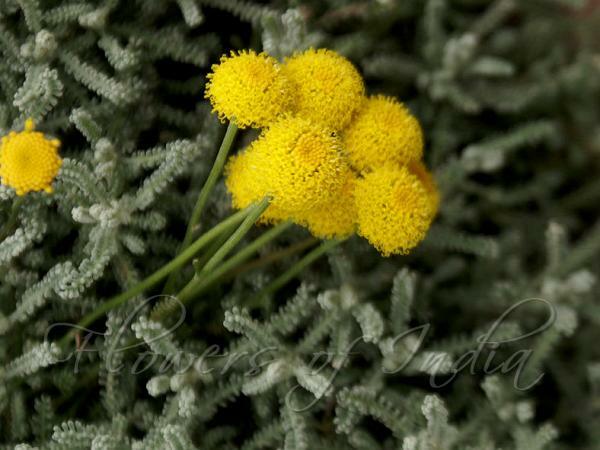 Flower-heads are 1/2 inch across, bright yellow and borne on slender stems. Lavender Cotton is a graceful plant, with an attractive scent that makes a nice addition to any sunny border. It grows up to 16 inches tall and wide. Withstands clipping well, and often used as a small hedge around herb gardens. 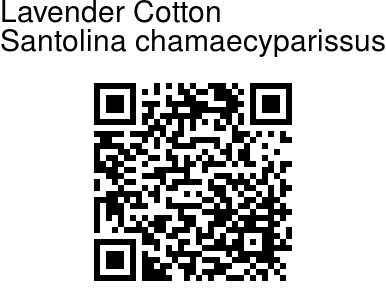 Lavender Cotton is native to W. and C. Mediterranean region. Photographed in Hazuribagh Garden, Srinagar, Kashmir.